This sumptuous suite has a private path taking you to your own large patio. There are magnificent sea views from both the living room and bedroom. The Kiwi suite is the biggest of suites in the Titore lodge and sets itself apart with is gorgeous indoor outdoor living area and spacious kitchen. This gorgeous suite has a private path taking you to your own large patio with dining for two. There are magnificent sea views from both the living room and bedroom. This cozy, separate private building is perfect for a romantic getaway or adventure vacation in one of the most beautiful places in the world. 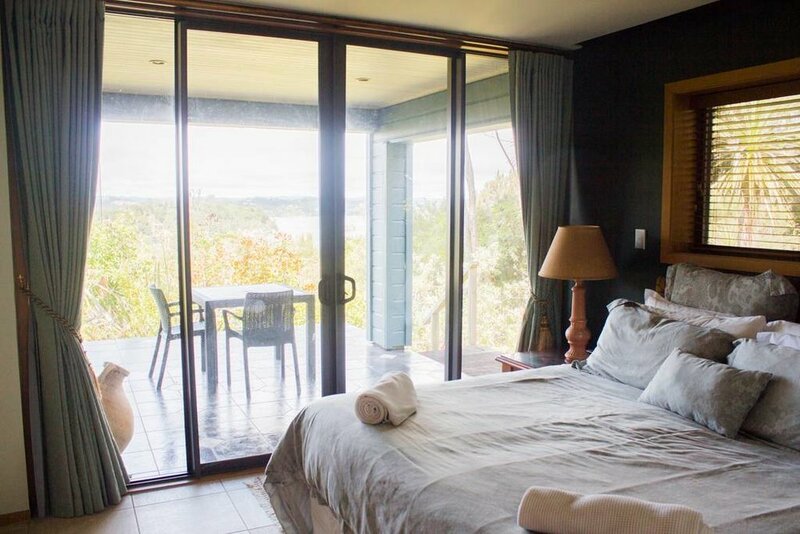 The Treetop Suite is a separate unit on the property of the gorgeous Titore lodge.